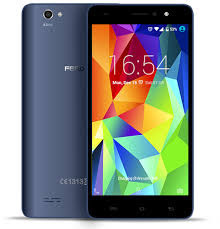 Fero is definitely not one of the most popular smartphone brand in Nigeria. Nonetheless, the company just launched a pretty affordable mid range smartphone which they call the Fero Mega LTE Blue. The device features a 5.5-inch IPS display and runs on android 6.0 marshmallow. It is powered by Spreadtrum SC9832 quad-core processor with a 2GB RAM and a 16GB expandable internal storage.